Governments across the world are reporting higher occurrence of transfer pricing, and are subsequently increasing efforts to curb tax evasion through the method. Governments worldwide are becoming increasingly aware and focused on transfer pricing regulations. 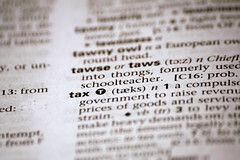 Several nations have recently announced that greater attention will be paid to the matter throughout tax audits conducted on multinational corporations throughout the 2010 and 2011 fiscal years. In a recent press release, the Ho Chi Minh City Taxation Department revealed heavy tax revenue losses due to illicit transfer pricing practices. The Department announced that 60 percent of the 3,500 foreign-invested enterprises (FIEs) operating within the city had reported a loss in 2009. Nguyen Trong Hanh, Deputy Chief of Ho Chi Minh City Taxation Department, stated that many of these firms had been reporting losses for several years, while showing growth far outstripping local firms. In an audit of 20 such FIEs the tax department found that transfer pricing policies had a significant effect on the companies declared profits. A reported 17 of the audited firms posted positive profits as a result of the investigation. To stem the occurrence of similar situations in other economies, Governments worldwide are beginning to instate tougher transfer pricing regulations. On April 1st the Japanese Government began to impose new guidelines which detail the documentation required for transfer pricing and the determination of transaction prices. Similarly, in April the Chinese Government has significantly increased its transfer pricing documentation requirements, mandating that an additional 6 new forms be submitted by firms undergoing an audit for the 2009 fiscal year. The General Inspector of Financial Information of Poland also issued warnings in April that the country’s tax authorities will be paying special scrutiny to related-party transactions throughout 2010 tax audits. The Government of Denmark, which has progressively tightened transfer pricing regulations since 2005, reported that audits of multinational companies in 2009 yielded an extra DKK 15.3 billion (approx. USD 2.8 billion) tax revenue. The significant revenue recovery was attributed to investigation of transfer pricing policies. In line with international governments efforts to stem tax loses through transfer pricing and set appropriate legislations the Organization for Economic Cooperation and Development (OECD) has announced an update to their international transfer pricing guidelines. The OECD’s Working Party No.6 is expected to have a final report and new legislative suggestion for the treatment of transfer pricing published in 2011.